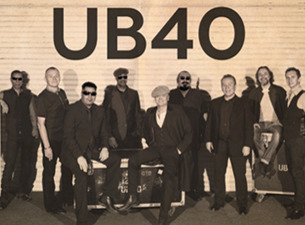 As infectious and happy the UK’s biggest reggae export’s emissions sound, disputes had riddled the band’s legacy and resulted in a feud between the two resulting camps of founding members, with both still touring the globe under the same moniker, the one referring to the United Kingdom’s unemployment claiming form. Be it as it may, what descended upon tonight’s stage was a full-bodied seven-piece band that delivered the classics as well as newer tunes of the band’s extensive catalogue, which was warmly received by an appreciative and fervent crowd that was happy to chant and sway along, culminating in the night's final number, crowd pleaser and encore conclusion, the Neil Diamond-penned classic ode to the redness of vino, which made UB 40 a household name transcending generations – with tonight’s demographics being an example par excellence with a diverse crowd of all ages. Tonight’s incarnation of UB40 delivered a fine celebration of ska, reggae and lovers rock infused with their trademark style with a heavy influence of psychedelically tinged guitars, analogue synthesizers, a brass section and a dub approach informing the irie vibe. A band that knows exactly what their audience wants and dishes it out generously.